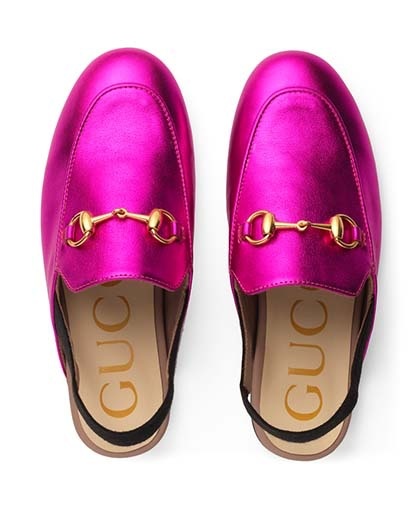 Gucci bright pink ‘Princetown Slides’ featuring a gold horsebit and elasticated ankle strap. 100% Leather. Made in Italy.